Home » Celebs » CNN Correspondent Abby Phillip Wiki: Wedding At Age 30, Who Is Husband? Media personality of American nationality Abby Phillip's love life hit a home run when she got married after enjoying a long engagement with her boyfriend. Phillip, a Harvard graduate, is a regular face in CNN as a White House correspondent. Here, we present to you some lesser known wiki about Abby Phillip that will blow your mind away. As can be seen in Abby's vibrant Instagram presence, she shares a strong bond with her family, including three sisters. 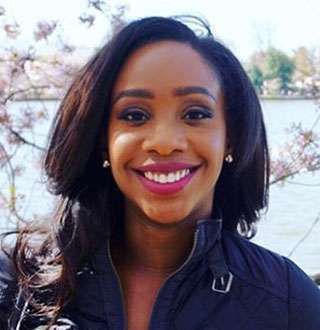 Phillip, a native of Bowie, Maryland, is the daughter of June C. Phillip, a Realtor and real estate investor with Fairfax Realty, and Carlos W. Phillip, a psychology program manager for the District of Columbia Public Schools in Washington. Abby Phillip, at the height of her career, is one of the well-known names in the American journalism, with her apt reporting and admirable persona. She started her career as a White House reporter for POLITICO and then advanced to the digital reporter for ABC News. She has been part of CNN's the White House team since 2017, but she has previously worked for the network as a political analyst. Before taking the lucrative job in CNN, she used to work for The Washington Post as a White House reporter--she does love working in the close proximity of the presidential house. Aside from her expertise in the White House matters, she covered Democrats, especially Hillary Clinton, during 2016 presidential election. Philip looked jubilant with her boyfriend of six years, Marcus Richardson, before getting engaged to him in December of 2016. They met each other during a party thrown by a mutual friend, and they haven’t looked back ever since. For those who don't know her husband, Richardson is a managing consultant at nVisium, a web and mobile app security company in Herndon, Virginia. He is the son of Toussaint Richardson and Col. Russell G. Richardson. On 26 May 2018, Phillip finally tied the knot with her fiance after more than a year-long engagement in the historic Anderson House, a museum in Washington, amidst the cheerful friends and families. The married couple looked quite dashing- with Phillip in her elegant, white bridal gown, and Richardson in his stunning tuxedo- looking at each other as if the world around them had disappeared. In that very moment when they struck eye to eye, the married duo smiled, knowing that they were going to be spending the rest of their lives together. Following their extravagant wedding, the couple headed to the exotic hills of Vietnam for their honeymoon. As of now, several months into their marriage, and six years in the relationship before that, the couple still look as if they were just falling head over heels for each other for the very first time. It seems Abby Phillip, indeed, has found all-around success in life. Her life is the kind of life all of us crave for but very few are graced with!